There are no words for the heartbreak I feel at the news of Leonard Nimoy’s passing. Leonard Nimoy was an amazing human being. 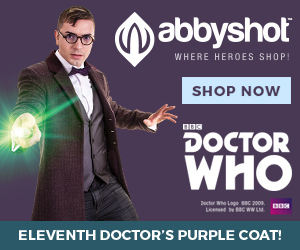 When I was 15, I was deathly ill and hospitalized for nearly a month due to a ruptured bowel from Crohn’s Disease. Unpleasant does not begin to describe the experience. Nimoy sent me a get well card, long before the days of social media. My godmother contacted her sister in Beverly Hills who was florist for the stars. My godmother’s sister contacted Nimoy’s assistant (either Nimoy was a client or my godmother’s sister earned her sainthood tracking down his office), who took my story to him. 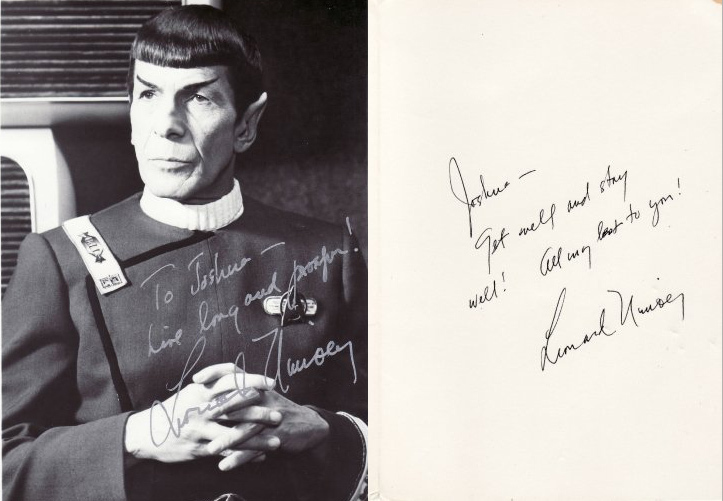 Nimoy was very kind and took a few moments to send a note before leaving on a business trip. Kindness matters. 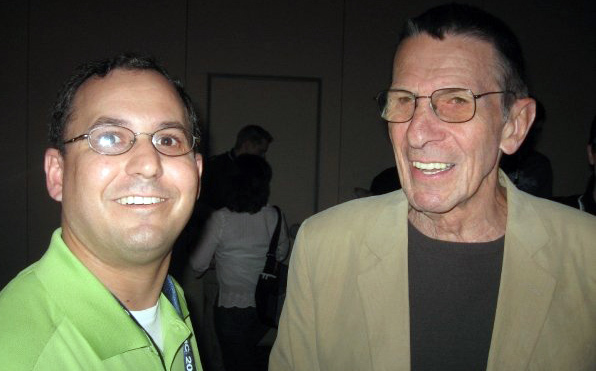 Nimoy took the time to be kind. The man stopped me three times with questions as I tried to step away, since I did not want to hold up the 900 people behind me. At that moment, the needs of the one outweighed the needs of the many as he inquired about my life. Nimoy will be missed. Thank you for being a wonderful person.